Our Pokémon GO strategy guides still keep coming in, and they probably would in the coming days, as the game continues to be an overwhelming success in the Apple App Store and Google Play Store. 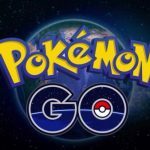 The game is the creation of Niantic and it allows gamers to become virtual Pokémon trainers, catching more and more Pokémon, but not in the in-game world on their mobile devices, but in the in-game world in the real-lie outdoors. We already showed you some of the ways you can get new Pokémon, but we haven’t touched on one particular way like we would’ve wanted to – that’s because it requires a separate guide for everything about the topic. Now, that we’ve gotten that out of the way, this Pokémon GO strategy guide will be all about hatching eggs, which is another popular way for you to earn new Pokémon. Where can you find these eggs, what can you hatch from them, and when can you hatch them? We’ll be answering all of these questions in this exclusive Pokémon GO guide, so read on! 1. Where Can You Find Those Eggs Anyway? You might have caught it in one of our earlier guides, but just like all the other essential objects in the game, you can find them at any Pokéstop. As these eggs are less common than Pokéballs, you don’t need to worry if you aren’t able to find one at first. We suggest visiting as many Pokéstops as possible, preferably in an area where those stops are a dime a dozen. You are, unfortunately, limited to carrying a maximum of nine eggs, so be guided accordingly and don’t get too overconfident. 2. How Can You Hatch The Eggs? Next up, you may be wondering how you can hatch those eggs after you found them. When talking about hatching the eggs, all you have to do is go to your list of Pokémon, and swipe to the side so you can toggle into egg view. Just tap on the egg of y our choice, and voila – you’re already hatching it! Of course, this is going to require that you have an incubator, and beginner trainers will get an infinite-use incubator, free of charge. But before you get too excited over that, keep in mind that this incubator can only hold a maximum of one egg, so if you’re hoping to do more incubating and hatching, you’ll have to find them at PokéStops, or buy them. Also, the catch with extra incubators is that they only allow you to use them so often before they break. You may have the eggs and you may have at least one incubator. But that’s only the start of things, as each egg will come with Its own distance requirement for hatching; that means you’ll have to walk a certain distance in order to hatch the eggs. At first, your distance requirement will be only “2 kilometers,” then it’s going to progress to 5 kilometers, then 10 kilometers. One kilometer, per then game’s measurements, is worth 1,300 steps. With that basic requirement in mind, 10 kilometers is worth a whopping 13,000 steps, so you’re going to have to be patient here. Very patient. It isn’t uncommon for Pokémon GO players to drive their cars, ride their bikes, or even go on public transport – cabs, buses, trains, and the like – just to hatch their eggs. 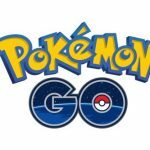 But since all those vehicles in question move quickly compared to the average person on two feet, their motions may not be detected by the game – instead, it appears as if Pokémon GO is only able to track slow to moderate movements. So if you want to speed up the hatching process, you can do some biking or do some jogging; driving or riding a motorized vehicle, sadly, looks like it isn’t counted by the game. Whenever you’re able to hatch an egg, that’s going to reward you with a thousand experience points. You’ll get another 500 if it’s a brand-new Pokémon, or one you’ve yet to encounter in the game. Then there’s the Lucky Egg mechanic, which allows you to double your experience for 30 minutes once you use the egg. So how do you maximize your XP gains from egg hatching? Try getting multiple incubators and having as many eggs as possible set up for hatching. That will allow their distance meters to go up at the same time, and once they’re almost set to hatch, activate your Lucky Egg, so you can earn 2,000 XP per new egg hatched. 6. What’s In The Eggs? Below is a list of different Pokémon and the number of kilometers you need to walk before you are able to hatch them. Now you don’t need to work on one separate egg at a time; you can schedule as many eggs as possible, just as long as you have enough incubators. Also keep in mind that this list may not be 100 percent on-the-dot – it comes from various Pokémon GO trainers from around the world, and it hasn’t been uncommon for us to see some trainers receive new Pokémon in one tier, and other trainers to receive those same Pkemon in another. Still, it’s as complete as you can get, making it a must to check out if you want to know what exactly is in it for you.